This book considers women's representation in television commercials in Australia and Bangladesh. Based on an empirical study that analysed a total of 780 advertisements from various television channels of these two countries, it shows that there is no significant difference between developed and underdeveloped countries regarding how media presents women. 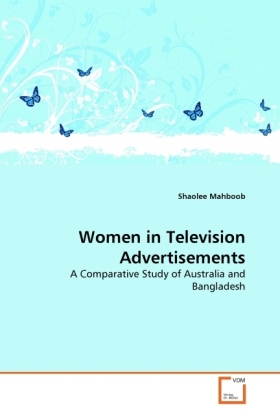 Bringing an interdisciplinary but empirical approach to a broad range of recently screened advertisements, the book examines how femininity is stereotypically represented in T.V. commercials. Explaining advertisements in the light of recent feminist theories, it suggests that women are produced and reproduced as sexual objects and/or objects to be looked at, and representations of women's bodies circulate around the binary of purity and pollution in heavily gendered and racialised ways. One of the interesting finding is the extension of the male-gaze' concept where women come under the gaze from (hetero) sexual perspectives. This book will be useful for readers interested in gender studies, media and anthropology.